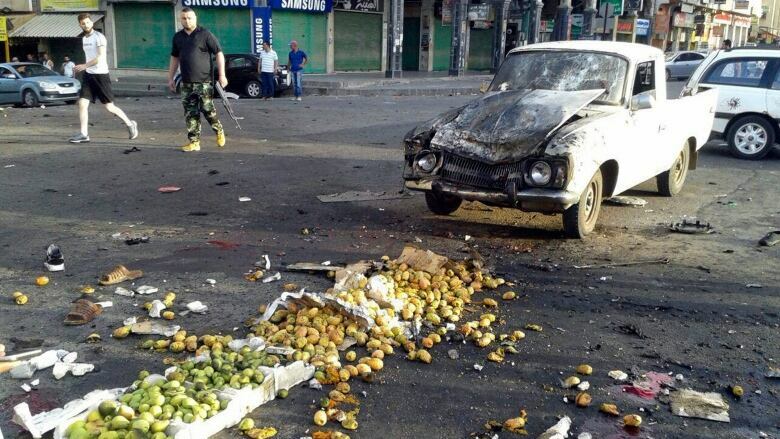 Attacks in the Syrian province of Sweida killed 215 people on Wednesday, the director of health in the southwestern province told the pro-government Sham FM radio station. ISIS said it had carried out the seemingly coordinated attacks, which included suicide bombings, in several villages and the provincial capital, also called Sweida. The Syrian Observatory for Human Rights said it was the deadliest day for Sweida province since civil war broke out in Syria in 2011. The monitoring group put its own estimate of the death toll at 183 — 89 civilians and 94 local militiamen. It said another 45 ISIS militants were killed in the clashes. Northeast of Sweida city, the militants launched simultaneous attacks on several villages where they clashed with government forces, state media and the Observatory said. In the city itself, at least two attackers blew themselves up, one near a marketplace and the second in another district, state television said. Two other ISIS militants were killed before they could detonate their bombs, state news agency SANA said. Militants seized hostages from the villages they had attacked, the Observatory said, and the dead included at least 41 civilians. Sweida Gov. Amer al-Eshi said authorities also arrested another attacker. "The city of Sweida is secure and calm now," he told state-run Ikhbariyah TV. ISIS was driven from nearly all the territory it once held in Syria last year in separate offensives by the Russian-backed army and a U.S.-backed militia alliance. 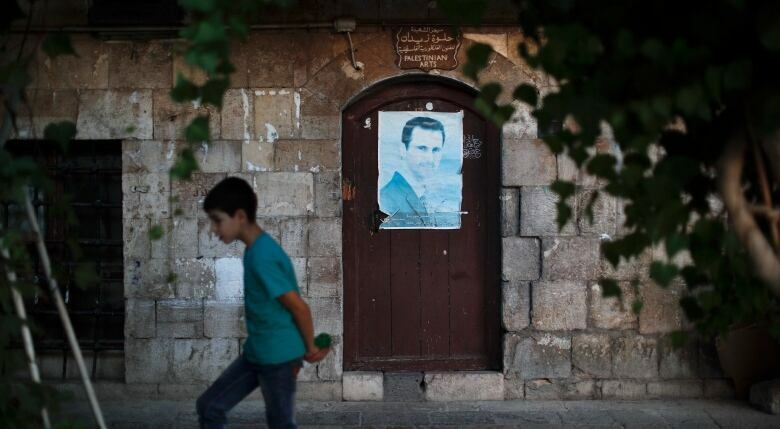 Since then, Syrian President Bashar al-Assad has gone on to crush the last remaining rebel enclaves near the cities of Damascus and Homs and swept rebels from the southwest. After losing its strongholds in eastern Syria last year, ISIS launched insurgency operations from pockets of territory in desert areas. The Observatory said government forces battled militants who stormed the villages from an ISIS pocket northeast of the city. The air force pounded militant hideouts northeast of the city after soldiers thwarted an attempt by ISIS fighters to infiltrate Douma, Tima and al-Matouna villages, state media said. The army and villagers regained control of a hill and broke a brief siege of another nearby village after clashes, Ikhbariyah said. 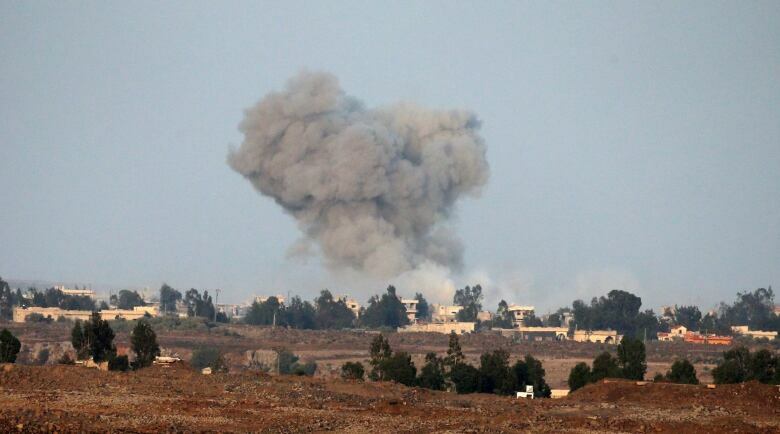 With the help of Russian air power, the Syrian army has been hitting ISIS in a separate pocket further west, near the frontier with the Israeli-occupied Golan Heights.